Your energy is unique & amazing.. I am a psychic and clairvoyant. I love to work with creatives, activists, healers, and seekers. My background is in creativity, meditation, and intuition. I use energy healing to cleanse the aura, remove energetic blocks or patterns, enhance clarity, and speed healing. Working with energy and exploring the truth behind our experiences is my passion. As I understand the fundamental nature of the energetic world, I guide and assist you in your spiritual healing process. The pictures you hold in your aura are the visions, the energies that create your life. To change your life, a look at these picture will give you a clear idea of where you hold old energy patterns, and how to release them. You get your energy back to create and change more easily. By any name we choose to call it, Spirit, God, Goddess, Love, Universe, All that is, or more recently, Zero-Point, Source energy has been identified as the underlying force that connects and contains all dimensions and goes beyond our individual selves. We can increase our awareness and consciously connect with our own greater self, our spirit. When we intentionally recognize this energy and strengthen awareness and presence, through meditation and psychic reading, we invite a deeper connection with our high self, with our spirit and healing guides. 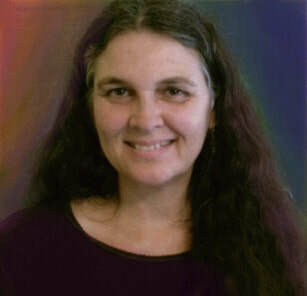 I offer Professional Psychic Aura Readings by appointment as a Healer and Seer. The way that spirit works with me is to bring sets of conditions that show me how I AM in the world, and how to heal specific circumstances with clients. The wounded healer, and magical child archetypes make a powerful combination. The gift of clear seeing works kind of like and innocent child, seeing beyond circumstance to the pure light within a situation. My wounded healer offers the ability to aid people to see and heal past life issues. Sometimes we come into this life with past experiences that were challenging and were left unresolved at the time of death. Past life issues can show up in our lives as conditions, types of relationships, or abilities. Challenges that seem to have no real reason in present life, can be a sign of past life issues presenting themselves. When you are ready to heal and transform you may recognize the strageness of a situation or feel unexplained emotions. You as a spirit can heal yourself. In classes we explore and strengthen our awareness of our energy field, learn to use energy tools to bring our body and spirit into alignment, with intention. As spirits living on earth in bodies we learn to ground and become stronger and more present with our own energy. Learn to read subtle energy and raise your vibration. Increase your ability to see, understand, and work with energy. I teach classes and workshops at Psychic Awakenings in Seattle, where I graduated from the Clairvoyant Awareness Program. I read Dreams, your clear and poetically concise messages from the soul. As a medium I communicate with, spirits, animals, and Angels. I will clear and refresh the energy from buildings to set the energy to vibrate in present time. Please feel free to contact me if you have any questions and would like to schedule a reading; 206-427-7450 . My Journey began with tears. At the age of 34 I went through a sudden and spontaneous awakening. This huge shift in awareness suddenly opened and sensitive to subtle energy. I was channeling all kinds of unfamiliar energy and it was overwhelming. Out of necessity I sought answers in spiritual community. I left my position at Microsoft and I traveled, to the Findhorn Foundation, and from there to Nepal, India, and Tibet. I worked with Buddhist practice, and vipassana meditation to re-balance my mind and gain equanimity. Neutrality turns out to be a powerful tool for working with energy. At Psychic Awakenings, I came to know, understand, how to work with the intensity of this energy. I am so grateful that have been through this journey. As life unfolds, and we face our suffering; through magic and wonder, we find ourselves transformed. Psychic Awakenings has helped me to be grounded, and has empowered me to understand my challenges, and my gifts. I feel lucky to be able to offer these tools to others who are called. I love to see how students change their own energy when empowered with a few tools and a shift of understanding. As we learn to release resistance and judgments we naturally increase synchronicity, serendipity, and happiness. Spirit to spirit communication is a genuine healing. Energy is constantly changing and as a psychic reader I will tell you what is present and available for you. I look at the energy you carry and give you information and images as I see them. I work with past life energy you still hold and help you clear past life contracts and agreements that no may longer work in today's world. A psychic look at the energy of what you are creating now, can give you clarity and choice about your future. Energy healing and clearing techniques help to change your energy and move through healing and transformation. "I enjoyed Sarah's vision boarding workshop series: Sarah's grounding, clearing and energy-running work always produced new and interesting insight around the source of blocks and getting unstuck in different life areas. The tie-in with vision boards always produced inspiring results that distilled my goals in creative ways to see which are enjoyable to look at and think about. I still use them in meditation. Thank you, Sarah!" "I would say she is a first rate psychic. As an artist she is naturally sensitive, and any time she has given me a reading it was spot on. She has a real passion for bringing her insights and knowledge out into the world."